Master of Divinity – MDiv. The Master of Divinity (M.Div.) is a professional degree designed for men preparing to be ordained to the Catholic Priesthood or permanent Diaconate. Successful completion of the Master of Divinity program attests to the recipient’s competency for exercising priestly ministry gained from a thorough grounding in Sacred Scripture, Dogmatic and Moral Theology, Spiritual and Pastoral Theology, Canon Law, Liturgy, Homiletics and Church History. Some students who apply at a later age and do not have a Bachelor’s degree may, with the permission of their diocese or religious society, earn a Certificate of Preparation for Ordination for the Priesthood upon the satisfactory completion of four years of theology. All requirements for those in the certificate program are the same as those in the M.Div. program, including the philosophy pre-requisites. Candidates for the M.Div. degree must achieve and maintain a minimum cumulative grade point average of 2.0. Applicants for the M.Div. program should follow the Seminary Division Admissions Procedures. Applicants for the M.Div. 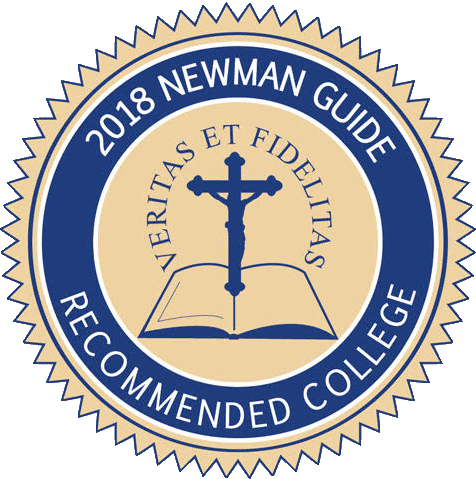 program must have a Bachelor’s degree or its equivalent from an accredited college or university and 24 credits in 8 pre-requisite philosophy courses as given in the Theology program requirements described elsewhere in this catalog. A minimum of nine credits must be earned in the areas of Moral Theology, Sacred Scripture, Dogmatic Theology, Pastoral Theology and Church History. With the permission of the Faculty Senate, and his ecclesiastical or religious superior, an exceptional student may be allowed to earn a Master of Arts degree in theology, in conjunction with the M.Div. degree. The Master of Arts degree in Theology requires 36 semester hours of graduate course work beyond the M.Div. requirements. A student who plans to pursue more advanced graduate work in the future may elect write a Master’s Thesis or develop a Special Project. The Master’s Thesis and Special Project may be done for program credit. All students must complete four core courses and complete a summative evaluation. The degree concentration may be in one of the following areas: Apologetics, Bioethics, Church History, Dogmatic Theology, Moral Theology, or Sacred Scripture. Students in the Seminary Program should consult the Academic Calendar for registration dates.